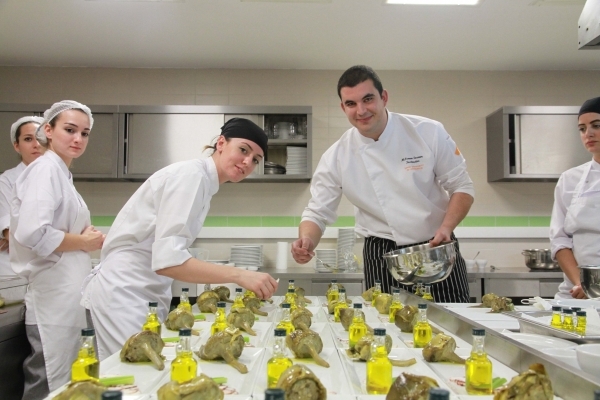 Izmir University of Economics (IUE) Department of Culinary Arts and Management is getting ready to train the young chefs and managers who will learn the most eminent samples of the world, Turkish, and Aegean cuisines. The prospective students who are going to display best of their skills will start getting trained by famous chefs at IUE after going through an aptitude test. The deadline for applications has been announced as July 18 where the pre-registrations process has already started. A two-step aptitude test will determine the future chefs. The first test will be a written test and it will be conducted on July 21. Following that, the students will be interviewed on July 22. The results will be announced on July 23, and final registrations will take place on August 4-5. The graduates of the department, which will admit 50 students, will learn the fine details of the cuisines in Turkey and worldwide. 5 prospective chefs will have full, another 5 will have 50%, and 4 will have 25% scholarships.